Oxjam Festival is taking place on October 7th running from Midday – Midnight on Womanby Street, Church Street and Dumballs Road with over 50 excellent acts playing in 5 different venues to raise money and awareness for Oxfam. As a festival celebrating all the wonderful things about the Cardiff music scene to raise money for an amazing cause, whether you’re a fan of heavy rock, hip hop, funk, grunge, techno, pop or punk, you’re bound to find something you love. The importance of this year’s festival should not be understated. Poverty affects millions around the globe making this a great chance to raise funds to allow Oxfam to continue their vital work. Closer to home, the threat to Womanby Street, and therefore Cardiff’s live music scene has been well documented. Oxjam Cardiff gives people the chance to fight back and gives a voice and the opportunity to showcase and celebrate the wide range of local, grassroots talent we have in the Welsh capital and surrounding areas. On top of the showcasing of amazing local talent there will also be street food vendors on site dishing up their mouth-watering and tempting treats to keep you well-fed during the day! Rolling up to Womanby Street will be Orgazmic Milkshake, Mr Croquewich and CJW Smoking. Good music and good food, what more could you want?! 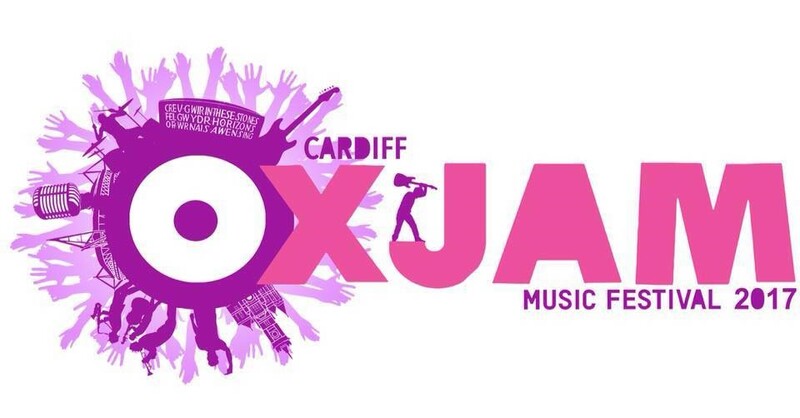 There will be a series of fund-raising events in the run-up to Oxjam Cardiff. Kicking us off will be a music themed pub quiz at Tramshed to win tickets to Oxjam Festival with a half time raffle for excellent prizes! There will then be a Secret Rave September on 23rd September from 4pm – Midnight: Follow clues which will lead you to this Oxjam party being held in a top-secret venue. Oxjam Cardiff takes you back in time to that of the warehouse generation, who dialled numbers from phone boxes and met at motorway service stations in order to hunt down the parties which were being thrown in venues unknown to anyone but the organizers. The first clue will be broadcast on the Oxjam Cardiff social media channels and will lead you on a treasure hunt around the city, and eventually to the dance floor. This will be followed by a Music & Cocktails night on September 24th 5pm – Close at Dead Canary. Keep Monday at bay by sipping on some specially designed Oxjam cocktails whilst enjoying the sounds of The Three Swingers. Nice! Entry is FREE and there will also be a raffle with some excellent prizes up for grabs. Finally the Oxjam launch party will take place on September 29th 7pm – Midnight. Join us at another amazing venue, Cardiff Speaker Hire, for our final fundraiser before the main event. The Delinquents will get the party started with their live performance. Yet another raffle with yet more fantastic prizes will break-up proceedings before a Brit-Pop disco lets you let your hair down one more time before Cardiff gets taken over by some amazing local talent on October 7th. What more reason do you need to get involved in this fun, inspiring and beneficial event? Have some fun, grab some great food, and raise some money for an outstanding cause!